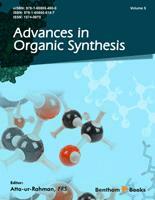 This eBook should be of interest to students and researchers interested in the art of organic synthesis. The chapters describe how challenging molecules have been synthesised by experts in the field and how new methodologies have been developed and applied where conventional chemistry had failed. In the first article, Lönnberg describes the synthesis of glycoconjugates by the strong binding of carbohydrates with protein receptors. In another review, Alfonso highlights the development of chiral molecular receptors based on enantiopure trans-cyclohexane-1,2-diamine. In an interesting contribution, Pineschi and coworkers review the selective opening of asymmetric ring to allylic epoxides with nucleophiles of different kinds. Next, García-Martínez and colleagues focus on the main strategies for the synthesis of poly(phenylenevinylene)- and poly(phenyleneethynylene)-based dendrimers as well as approaches to hybrid dendritic structures that combine both scaffolds. In another review, Wu et al. have reviewed organic synthesis of a-activated cross conjugated cycloalkenone systems. Boechat and Bastos provide updates on the synthetic methods developed for the direct introduction of a trifluoromethyl group in carbonyl compounds. Avendaño and Cuesta discuss synthetic chemistry with n-acyliminium ions derived from piperazine-2,5-diones and related compounds. In the last chapter of this eBook, Jana and her coworkers review advancements related to the synthesis of organometallic amino acids and analogues. I am thankful for the time and efforts made by the editorial personnel at Bentham Science Publishers, Mr. Mahmood Alam, Taimur A. Khan and Ms. Sarah A. Khan.